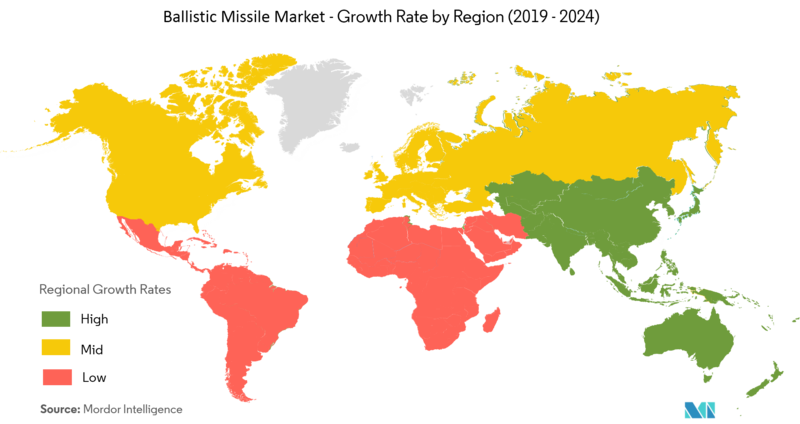 The Market is Segmented by Launch Mode (Surface-to-surface, Surface-to-air, Air-to-surface, Air-to-air, Subsea-to-air), Range (Short-Range, Medium-Range, Intermediate-Range, Intercontinental), and Geography. The ballistic missile market is anticipated to grow at a CAGR of above 6% during the forecast period. The increasing GDP and consequent growth in defense spending of countries across the globe are both expected to result in an increase in investments for the development and procurement of ballistic missiles, during the forecast period. The increasing national security concerns and border threats are driving the demand for the ballistic missile market during the forecast period. The development of nuclear ballistic missiles by major military superpowers is expected generate huge demand for ballistic missiles in the coming future. 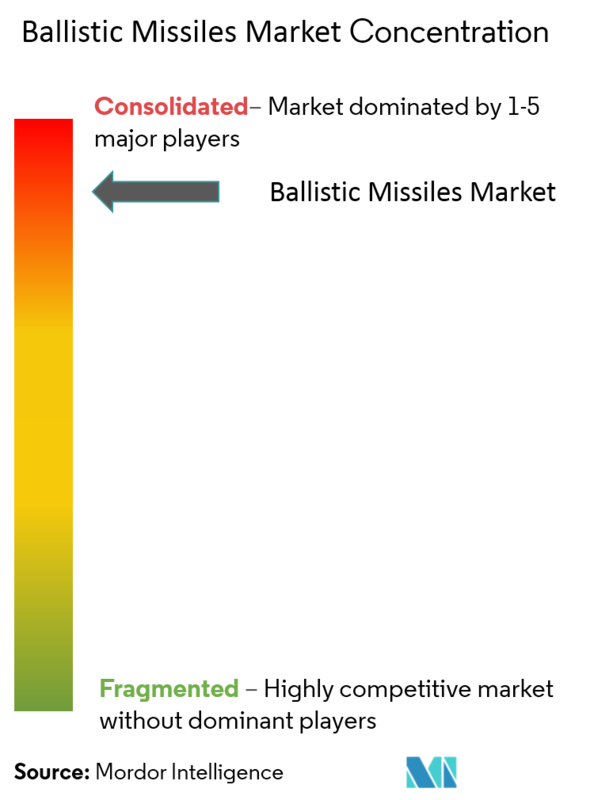 The market studied is segmented by launch mode, range, and geography. By range, the ballistic missiles are classified into Short-range, Medium-range, Intermediate-range, and Intercontinental Ballistic Missiles. The short-range ballistic missiles are the missiles that have a range between about 150 km and 300 km. The medium-range ballistic missiles are the missiles that have a range between about 300 km and 3,500 km. The intermediate-range ballistic missiles are the missiles that have a range between about 3,500 km and 5,500 km. The intercontinental ballistic missiles are the missiles that have a range greater than 5,500 km. 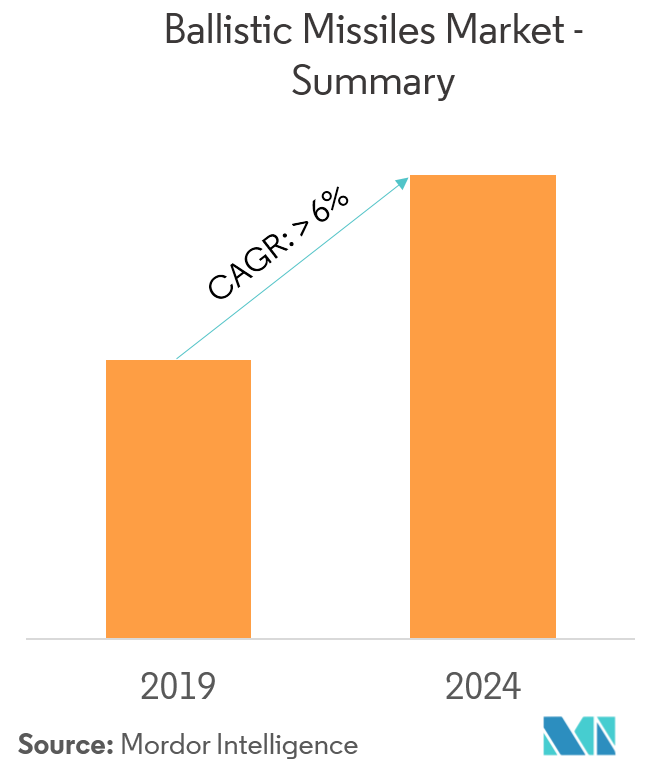 Intercontinental segment of the market is expected to grow at the highest CAGR during the forecast period. Due to their advantages of high accuracy at higher ranges compared to small, medium and intermediate missiles, countries are now developing and test new and advanced ballistic missiles which are driving the growth of this segment during the forecast period. For, instance, Russia tested Topol MR intercontinental-range ballistic missile in February 2019 and Sarmat missile intercontinental ballistic missile in March 2018. Also, in Asia-Pacific, India successfully test-fired a long-range intercontinental ballistic missile (ICBM), Agni-V from the eastern state coast of Odisha. Such intensified development and testing of new intercontinental ballistic missiles is largely contributing to the growth of the market of the ballistic missiles. Asia-Pacific is anticipated to have the highest growth during the forecast period. China is investing heavily in ballistic missile-related technologies, to deter incursions into the Chinese territory, by both aircraft and potential long-range strike weapons. Ballistic missile developments in North Korea also act as a key missile procurement driver for Japan and South Korea. India has undertaken a Ballistic Missile Defence Program to develop and deploy a multi-layered ballistic missile defense system to protect from rising ballistic missile threats from China and Pakistan. The market concentration of players in the ballistic missiles market is high. 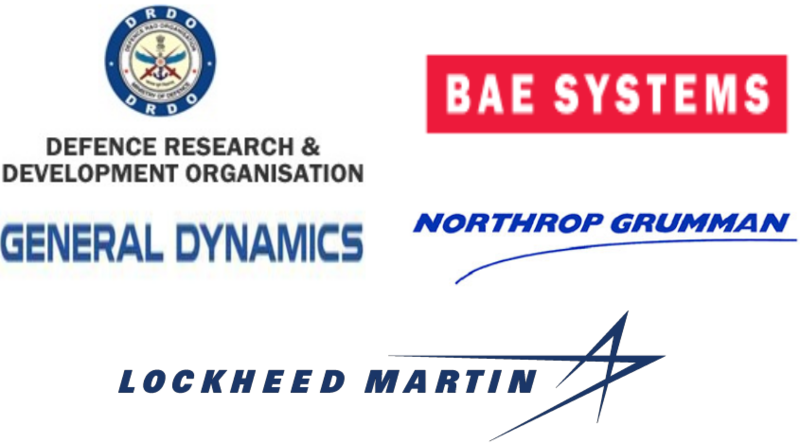 The prominent players in the market are BAE Systems, General Dynamic Corporation, Lockheed Martin Corporation, Northrop Grumman Corporation, and DRDO. The government investments in the state-owned companies for the development of advanced ballistic missiles are helping the regional players increase their presence in the market. Also, partnerships between players in various fields like propulsion system, warhead design, body design, etc., are likely to help companies develop advanced missile systems, due to the sharing of technology.